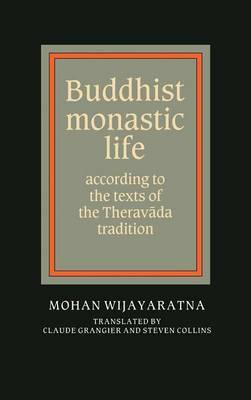 This 1991 book provides a brief yet detailed account of the ideal way of life prescribed for Buddhist monks and nuns in the Pali texts of the Theravada school of Buddhism. The author describes the way in which the Buddha's disciples institutionalized his teachings about such things as food, dress, money, chastity, solitude and discipleship. This tradition represents an ideal of religious life that has been followed in South and Southeast Asia for over two thousand years. In previous writing on the early period of Buddhist monasticism, scholars have usually tried to give an historical account of the evolution of the monastic order, and so have seen the extant Vinaya texts as coming from distinct historical periods. This book takes a different approach by presenting a synchronic account, which allows the author to show that sources are in fact predominantly consistent and coherent.